A few days ago, Western Digital come out with news of the newest addition to its My Passport line of portable hard drives: WD My Passport Edge. The company announced that the external hard drive will be coming out in two versions, one for Mac and the other for PC. The Mac version of the drive lives up to Western Digital’s promise of sleek and slim design. The My Passport Edge for Macs sports an aluminum enclosure that perfectly aligns with Apple’s sleek design aesthetic. To complete the effect, the Edge also has a slim form factor. The enclosure is the size of a standard internal hard drive at 9.5 millimeters, since the drive inside measures only 7 millimeter thick. The external drive connects to Mac through a connector that supports USB 3.0. 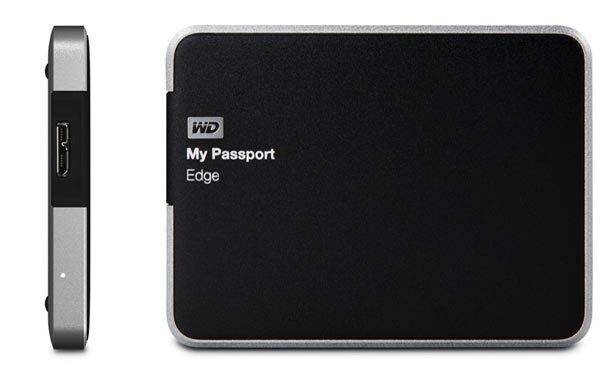 The WD My Passport Edge holds 500 GB worth of files. It is also bus powered, so you’ll only need a single USB cable to power the drive. The Edge is also compatible with Apple Time Machine, making it convenient for Mac users to backup up their data using the native program. For those who prefer other backup software, Western Digital offers its own WD Smartware, which is already included with the drive. The program allows users to automatically backup their files upon connecting the drive to the computer. Some other features of the Edge are password protection and hardware encryption. These features make a huge contribution in making sure that the external drive is offering its user the security and peace of mind associated with knowing that your files are not readily accessible to just about everyone. The Western Digital drive comes with the company’s limited 3-year warranty as part of quality and service guarantee. The drive is now available through Western Digital’s online store and through other retailers and distributors. Coming in at the retail price of $120 for the Mac version, the My Passport Edge is priced fairly when you compare it to other drives with similar features and the same storage capacity. The PC version of the external is $10 cheaper, but what you save in price you lose in design. The PC version loses the aluminum enclosure to justify the price cut. This entry was posted in USB 3.0 Hard Drives, Western Digital and tagged mypassport edge, Portable Hard Drive, USB 3.0, western digital. Bookmark the permalink.